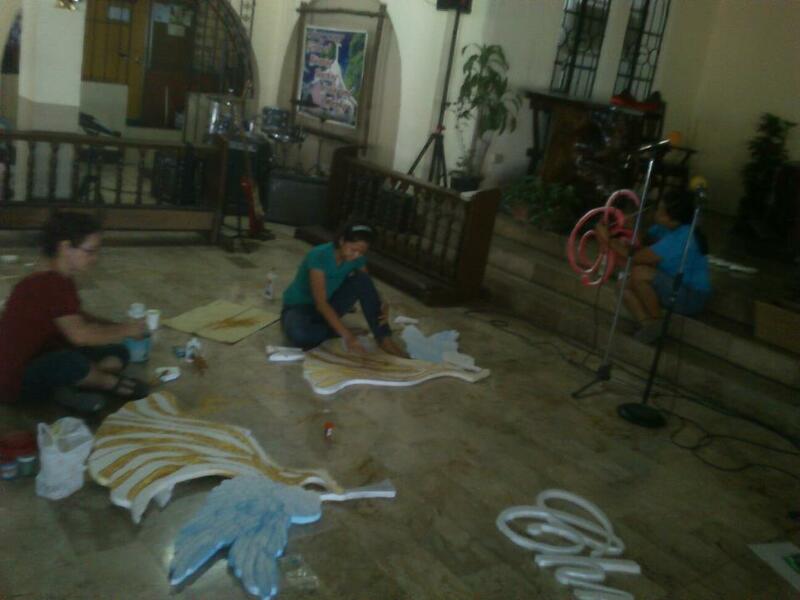 That's me and Risa, laboring on "glittering" our Christmas angels. This year, the church decoration is simple. No more a thousand and one twinkling lights snaking through a thousand miles plastic pine leaves. Just two trumpeting styropore angels heralding the birth of Jesus Christ. The decoration is done. I'll take some pictures and post them here soon.